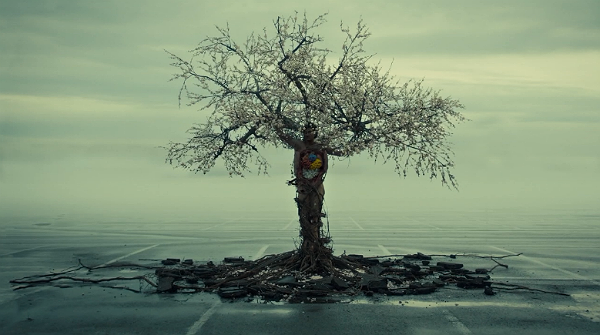 Now that the second season of NBC’s Hannibal has concluded, and the show has been renewed for at least one more season, I’d like to take this opportunity to implore anyone who hasn’t been watching the show to catch up. Yes, you might have seen the movie Hannibal (starring the iconic Anthony Hopkins, and Julianne Moore as Clarisse Starling) and Red Dragon (Hopkins again, and Edward Norton as Will Graham). Those are arguably Hollywood fluff in comparison to the dark, artsy, surreal, psychological twister that is 2013’s TV incarnation. 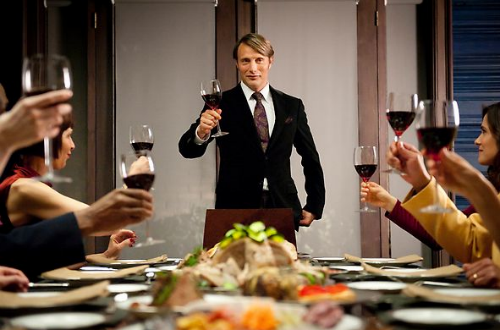 The show stars Hugh Dancy as Will Graham (much darker and moodier than the Fight Club actor, who was surprisingly blasé in Red Dragon), Laurence Fishburne as FBI Special Agent Jack Crawford, and Mads Mikkelsen as Dr. Hannibal Lecter. 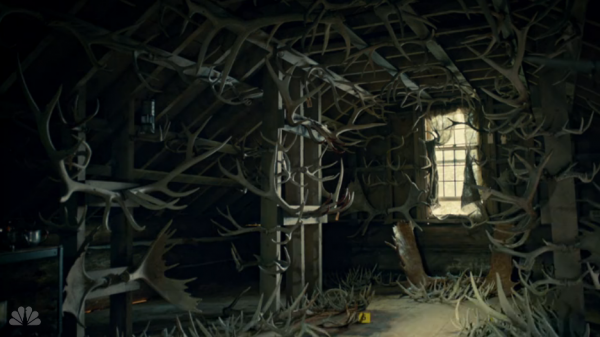 It also, apparently, stars Carcosa from True Detective. In the show, Will Graham is a professor with a strange gift for empathy: he can basically see into the minds of serial killers, observing crime scenes and visualizing how the murder went down (a little like Dexter‘s keen eye for blood spatter, but more visceral). He aids the FBI in hunting down the Chesapeake Ripper. Season one is part serial killer of the week, part descent into madness, wherein Will vacillates between believing he is physically ill, and mentally ill. Throughout, his friendship with Dr. Lecter proves to be a psychological game of cat-and-mouse. 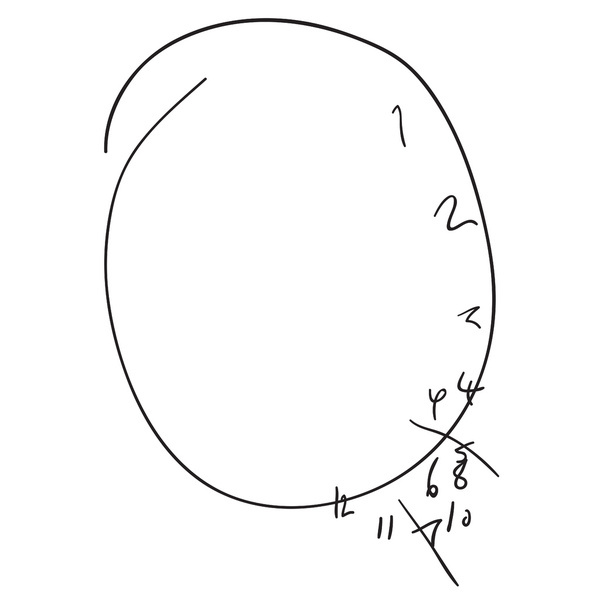 I particularly enjoyed the scenes where Hannibal asks Will to draw a clock. Season two moves the story forward. No, they will not be stretching out the serial killer of the week trope the way other shows might be tempted to: instead, we find Will being framed for murder, revelations about the true nature of our favorite characters, and a cat-and-mouse game in which it is almost impossible to tell who is the cat and who is the mouse. One of the most striking aspects of this show is how dark it is willing to go. Our protagonist, Will, exhibits some… questionable behavior. He must play the part of a killer in order to convince Hannibal that he’s on his side, and throughout, we’re never quite sure just how much he enjoys the killings he has committed. Also, at this point, almost the entire cast has eaten people. Cheers! What the show may be best known for, however, is its unique visual aesthetic: macabre, artistic tapestries of death, killers who display their victims in a myriad of horrible and beautiful ways. As a writer who explores that strange connection between beauty and horror, I find these visuals very intriguing and bold for a network TV show. 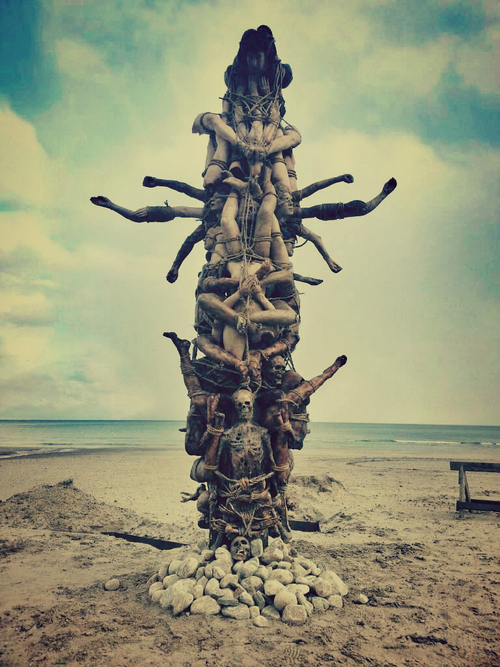 And this totem pole made of bodies. 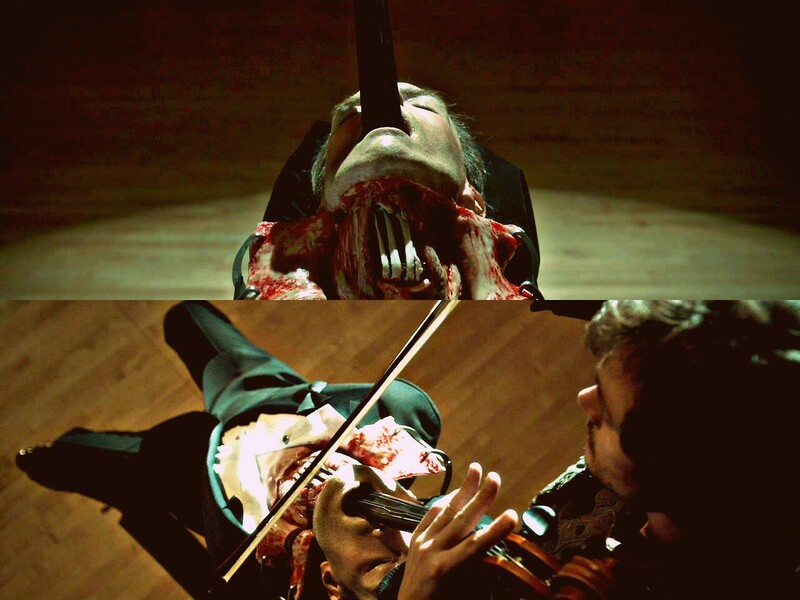 Mikkelson, for his part, embodies the role of Hannibal in a way that is entirely different from Hopkins. Not having read the books, I can’t say which is more accurate to the original canon, but he certainly brings out something unique in the classy cannibal. Whereas Hopkins is immediately creepy, his staccato voice alone creating a sense of unease, Mikkelson’s Hannibal is a subtler kind of monster. At first, he seems quite benevolent, obviously brilliant, and even friendly. But once you glimpse the psychopath within, who is willing to toy with the lives of those around him out of sheer curiosity, the true depths of his depravity surface. And for one so intelligent and charismatic, as successful psychopaths tend to be, it’s both easy and chilling to see how he manages to get away with so much, right under the FBI’s nose.